This book describes the way in which the human brain is supplied with blood and how the brain uses this to provide nutrients, primarily oxygen and glucose, to brain cells in order to maintain healthy brain function. In particular, it focuses on the quantitative nature of blood flow and metabolism. The book covers models of blood flow and metabolism and how these can be measured using a variety of imaging and non-imaging techniques. 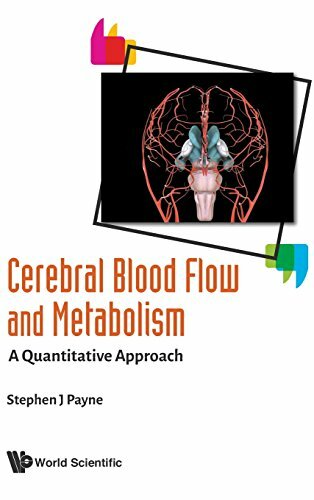 It also examines how cerebral blood flow is controlled in response to a wide variety of challenges and how it changes with normal physiological variation and in response to a large number of pathological conditions, including stroke and dementia. As the first substantial book for over ten years in a fast-changing field, it highlights how the subject has progressed in the last couple of decades. It tackles the subject in a quantitative way, underlining its importance in both technical and clinical fields. Audiences with a technical or clinical background, especially researchers and postgraduate students in biomedical engineering or medicine, will find this a valuable read. Readership: Researchers and postgraduate students in biomedical engineering and medicine.